The Savannah Bananas, an amateur baseball team in Georgia, has added an adorable new member to its roster. 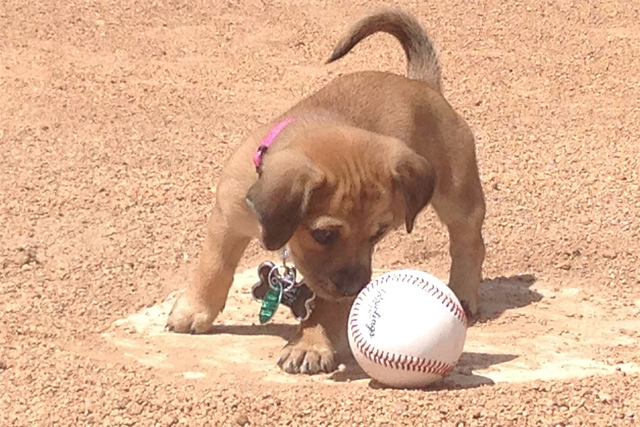 The Savannah Bananas, an amateur baseball team in Georgia, has added an adorable new member to its roster — a puppy. Daisy, a seven-week-old puppy, was found abandoned in the parking lot of the team’s stadium a few weeks ago and the team decided to adopt her and make her the Bat Dog for the season. Daisy is at the office every day, according to the team, and helps greet visitors. The Bananas play in the Coastal Plain League, a collegiate summer baseball league, and open their season on June 2.